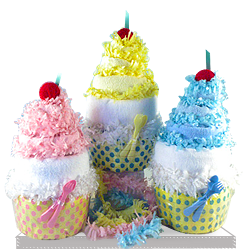 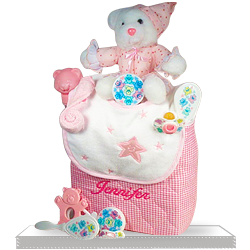 Your baby will feel safer and more secure in their own Snuggly or "lovie" blanket. 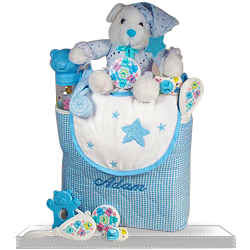 The unique attributes of this blanket include a soft polar fleece fabric, trimmed in silky soft satin, with an adorable lamb plush for baby to hug, the blanket size is 23" x 17". 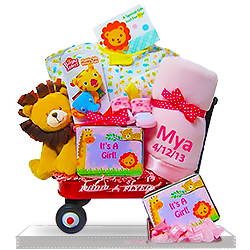 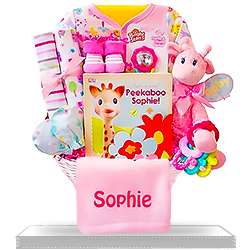 Get your baby Girl more personalized with your baby’s name on this adorable blanket.